"Over time it’s achieved an iconic status "
Nintendo's unrivalled history and cultural impact in gaming is manifested in various ways, and brings together fans and enthusiasts of many kinds. A number of us enthusiastically jump into the company's latest systems and games, while others find the most joy in collecting retro equivalents. There are retro fans, too, with the expertise and desire to take Nintendo's iconic hardware and give it new life, often with impressive effect — console modding can bring us the limited edition systems we've always wanted. Joe Heaton, or 'Joeteach' as he's known on social networks, is one of these fans. 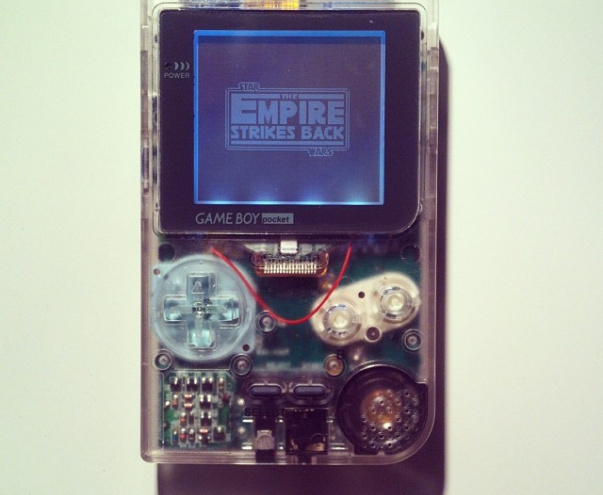 He's forged a reputation for producing an impressive array of Game Boy mods, from the original model all the way up to the Advance. 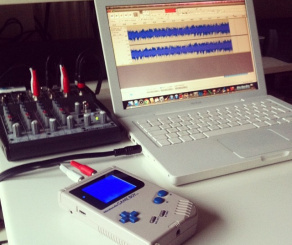 It's not all about modding, either, as he's an enthusiastic chiptune composer. We've caught up with Joe to learn more about his modding activities, motivation and to discuss his increasing popularity on Instagram. We also have a whole load of awesome pictures of his work to enjoy, too. Can you introduce yourself to our readers and tell us a bit about yourself? Hi, I’m Joe and I live with my wife and two kids in the North West of England. I've been teaching secondary Design & Technology for the last fifteen years, hence the "teach" part of the nickname. I got into teaching mainly from my love of the subject; I've always loved making stuff and my degree is in Product Design. 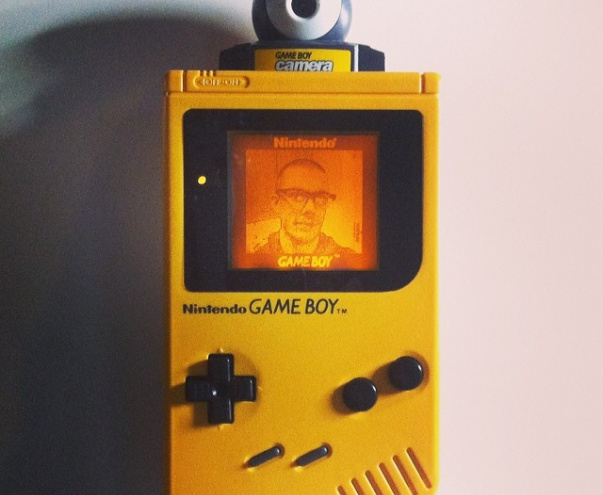 Amongst other things, I enjoy modding classic Nintendo Game Boys and sharing photos of them on Instagram. 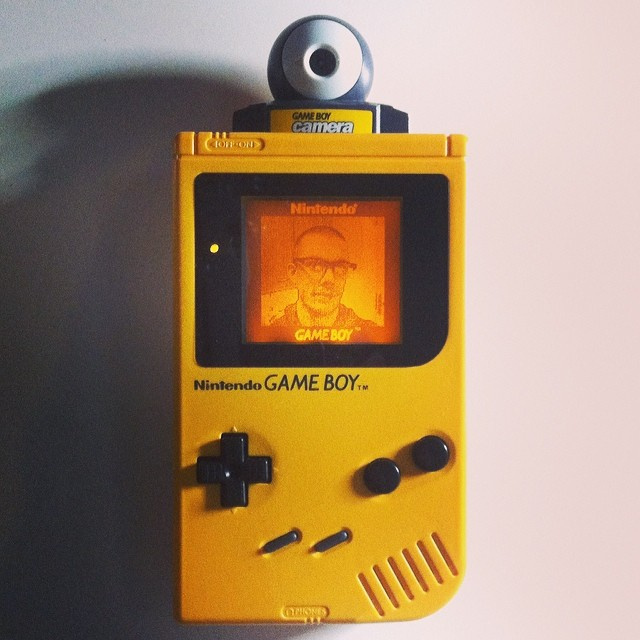 What are your first memories of gaming, and when did you get your first Game Boy? My first memories of gaming were playing a Pong clone on a huge computer in primary school, and playing on a friend’s Atari 2600 in his front room. The first computer we had was an Amstrad CPC6128 and after that an Amiga 500+, but I really fell in love with video games from the first time I set eyes on a Game Boy. It was around Christmas 1990 and as I was too late to ask for one as a present so I scraped and saved every penny I could to get my hands on one. 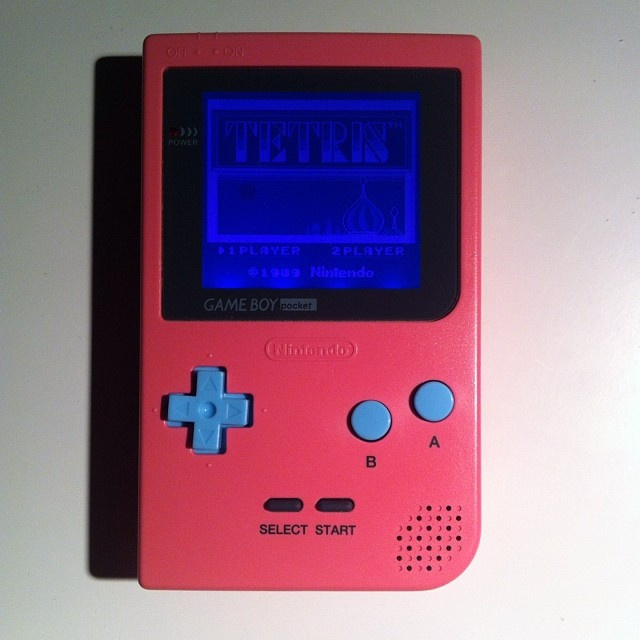 I was fortunate enough to get one with Tetris before Christmas and I was hooked from there. So thinking back, I must have snagged a launch model! 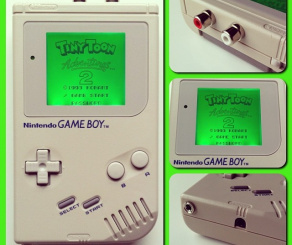 Why do you think the Game Boy won out against the more technically advanced rivals of its day? 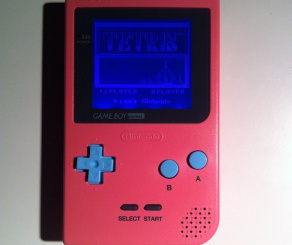 I think it’s largely down to the battery life and the sheer brilliance that was Tetris included with every unit sold. 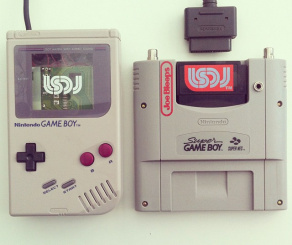 The other handhelds were more technically advanced for sure, but Game Boy was the only truly portable system as it could be played anywhere; the batteries lasted for hours and of course Nintendo always knew how to make great games. Over time it’s achieved an iconic status and evolved with different iterations of the hardware over the years. 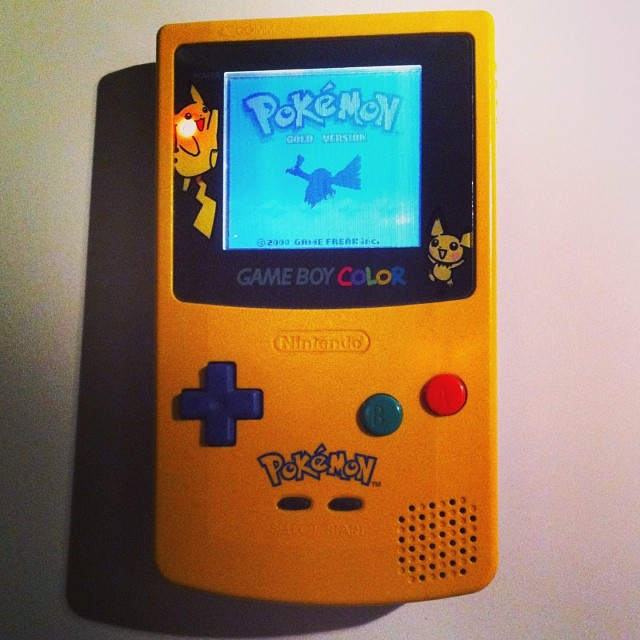 I think further on into the Game Boy’s lifespan Pokémon managed to cement its popularity for the long term. 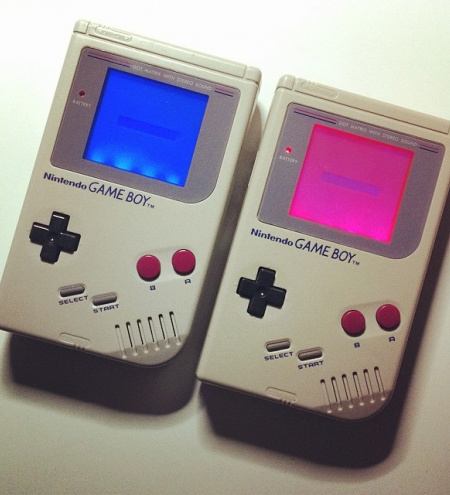 Other than the Game Boy, what are some of your other favourite consoles and why? I love video games in general, I have a somewhat over-the-top setup at home with a whole host of consoles but I’m particularly fond of the 16-bit era. I love the Super Nintendo and the Mega Drive; they both offered so much diversity and had their own distinct character and catalogue of games. I love scrolling shooter games so Sega’s consoles are all winners there, but I think the Super Nintendo would likely be my desert island console. 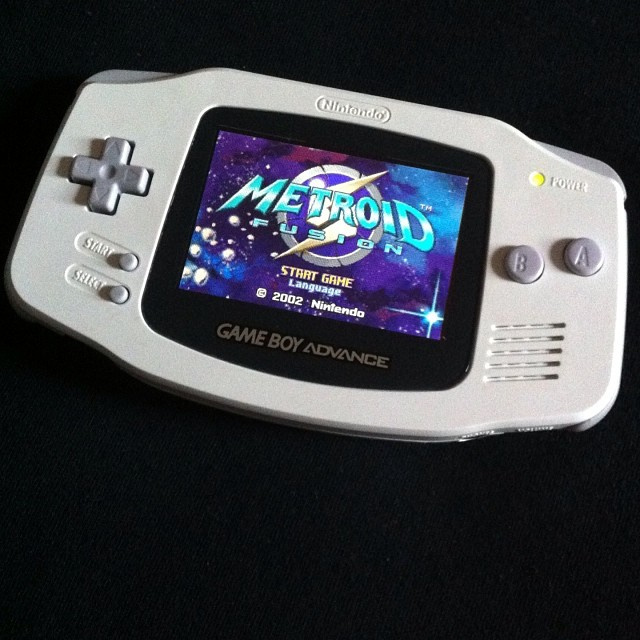 I could play games like Super Metroid, Link to the Past, Super Mario Kart and Super Mario World forever. It’s got such a strong line up of first class games. How did you get started modding consoles? Can you outline some of your early mods, and why you started? I first dabbled with modding consoles when I found out you could get a 60Hz picture on a PAL console by installing a switch. I had always had trouble with import converter cartridges too so installing region switches was a close second. After that I’ve always been fascinated with how changes can be made to customise hardware and make things a little more special. I have a modded GameCube that I managed to squeeze a couple of Wavebird receivers inside, unusual little tweaks like that always appealed to me. 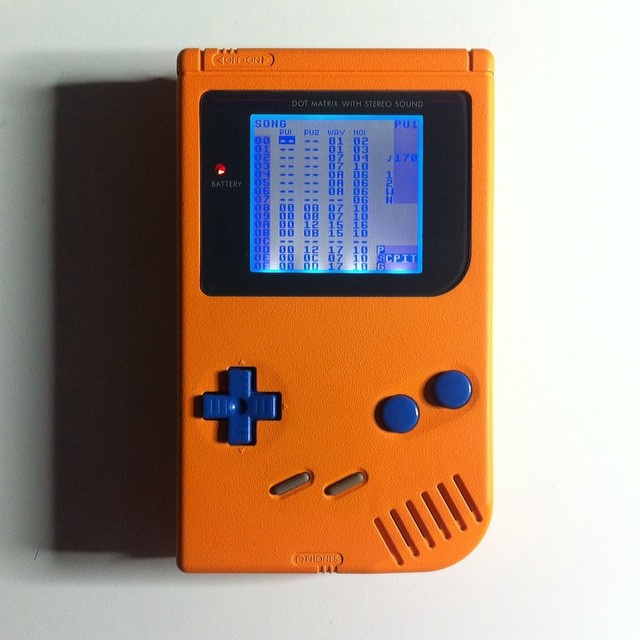 When I got into chiptune music a couple of years back, I started to look into the hardware and software involved with its production and I was in love with the Game Boy all over again. 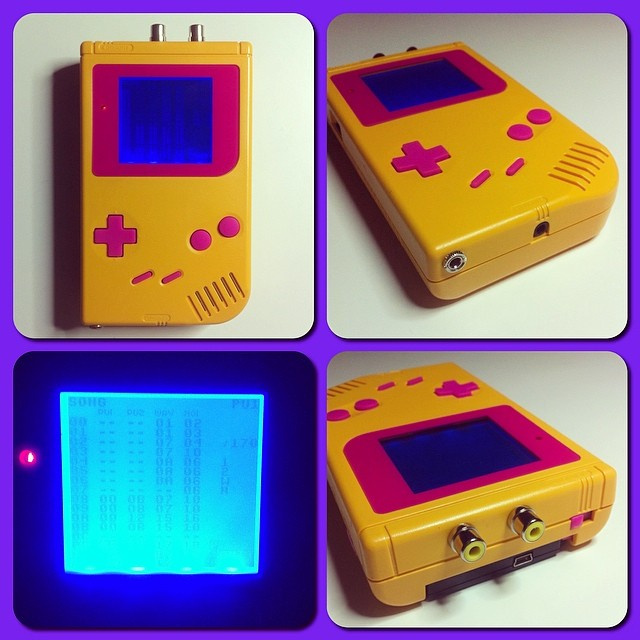 I started with simple mods like button replacements, “prosound” audio mods and even transplanting a frontlight from a GBA SP into a Game Boy Color console. 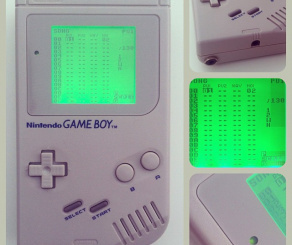 After that I started ordering custom parts from the US, installing backlights into classic Game Boys and learning more about how to get the best out of the hardware and produce custom systems that stood out from the crowd. Where do you source most of your classic hardware? I love going to car boot sales and always keep an eye out for Game Boys there but they aren’t as common as they used to be. 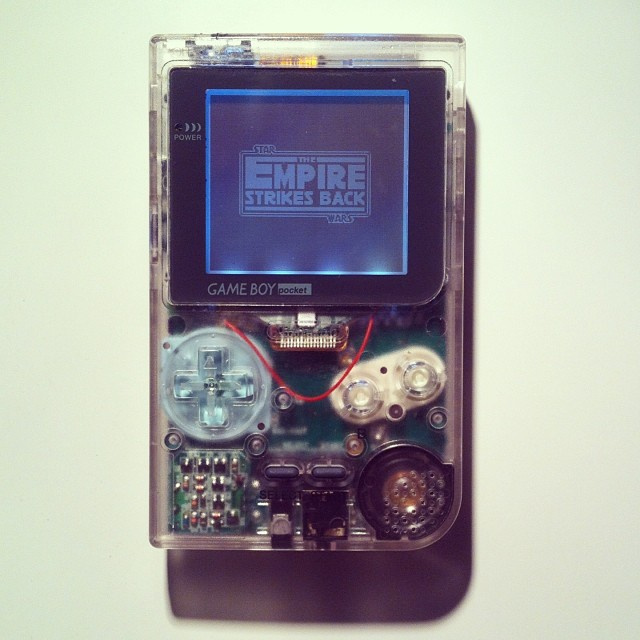 More often I’ll buy job lots of faulty or broken Game Boys from eBay and repair them or use them for spares. I always keep an eye out wherever I go; you never know when you’re going to find something interesting. 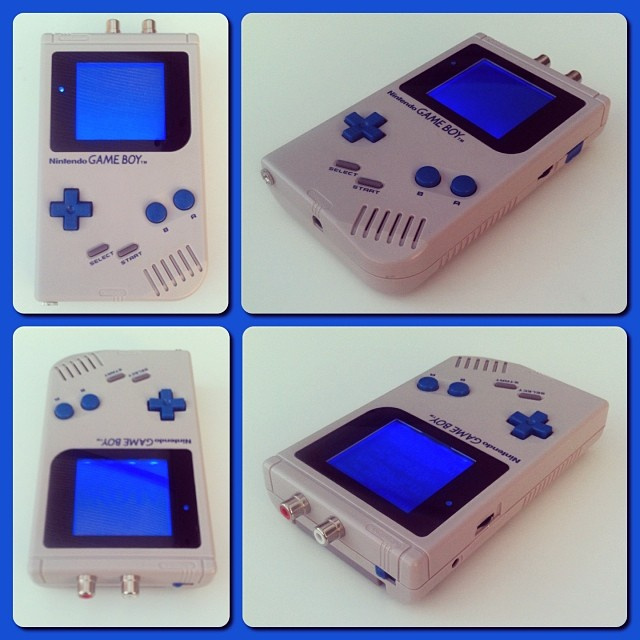 As for the custom parts I still order some from the US but we are now lucky to have www.gameboymods.co.uk in this country, so it’s great to be able to get the parts I need without the long wait or the worry of customs charges. Which mod are you most proud of so far? 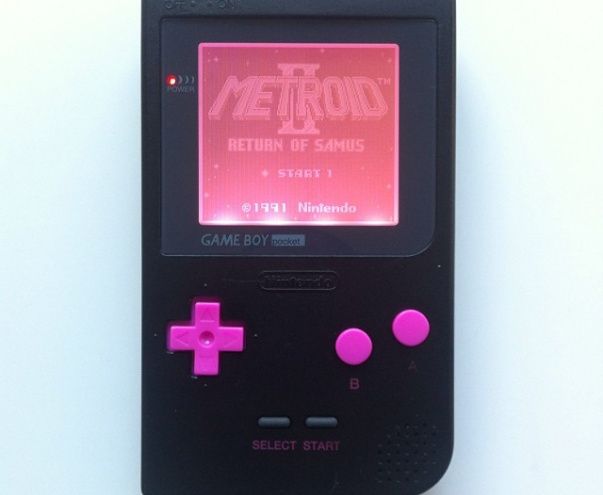 I’ve modded a lot of Game Boys I’m really proud of; it’s always nice when I come up with an idea or a colour combination I want to try and it looks as good as I’d hoped when I’ve finished. 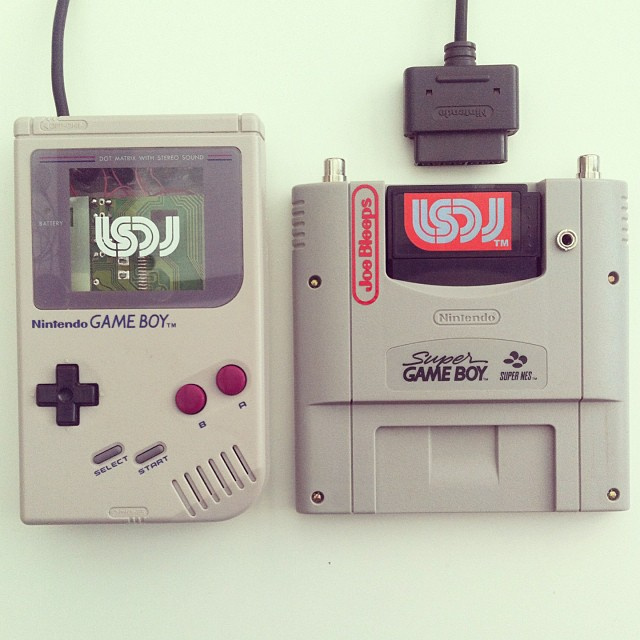 My favourite mod is the controller I made for the Super Game Boy. 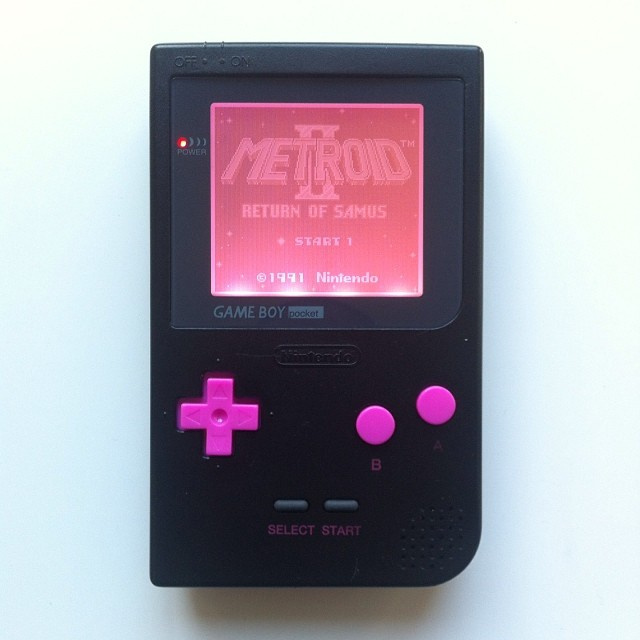 It’s a kind of Frankenstein piece with the guts of a Super Nintendo controller housed inside a Game Boy shell; it controls the Super Nintendo, which is great when playing on the Super Game Boy cartridge. I fitted extra buttons on the back of the unit to cover the other functions. It’s a daft little mod that was actually quite tricky but it’s a one-of-a-kind piece. Usually I can find tutorials online to help with most of my mods but this one seemed to have never been tried before. 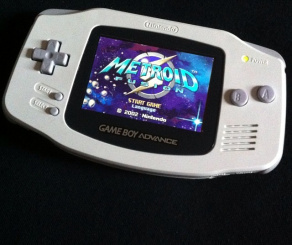 What advice would you give to others thinking of doing retro console mods? I’d say go for it. It’s not too hard and there are a lot of people out there to help you. Don’t try anything out on your pride and joy; avoid mint examples or precious childhood relics as you will almost certainly make mistakes along the way. 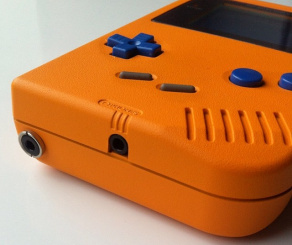 Pick up a cheap, tatty example and try every mod you can find on it. You’ll probably kill it off but you’ll learn a lot along the way. I’m still learning and I hope that continues to be the case. Have you enjoyed engaging with the online community since you became so active on Instagram, for example? Do you have any favourite moments or exchanges that you’ve had when posting your work online? I don’t think I’d be producing the stuff I am today if it weren’t for the fantastic community on Instagram. In my early days I followed lots of other modders such as boddah, asking lots of questions and posting pics of my exploits asking for tips or advice. I was always so impressed with how friendly and helpful people were and it’s great to be able to do the same for other people now I’m more experienced. I’ve had some of these guys who helped me out early on make some really great comments about the stuff I’m doing now, it really means a lot to have them admiring my work. 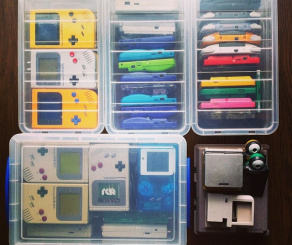 It’s my Game Boy stuff that got me involved with Retrocollective, which is a retrogaming group that started on Instagram and has since spread further into Facebook etc. I was really stoked to be asked to get involved with setting up Retrocollective Europe and I’ve made some good friends along the way. It’s a great community. Do you sell any of these mods? Which ones are most popular? If I could hang on to all of my projects I would but a time came when I had to start selling them to fund future projects and make some space! Most of my trading has been on eBay but I’ve sold a few via Instagram and recently set up an Etsy store. The most popular ones are always the most eye-catching ones but there’s a mix of gamers and musicians that buy them and they’re often looking for different things. 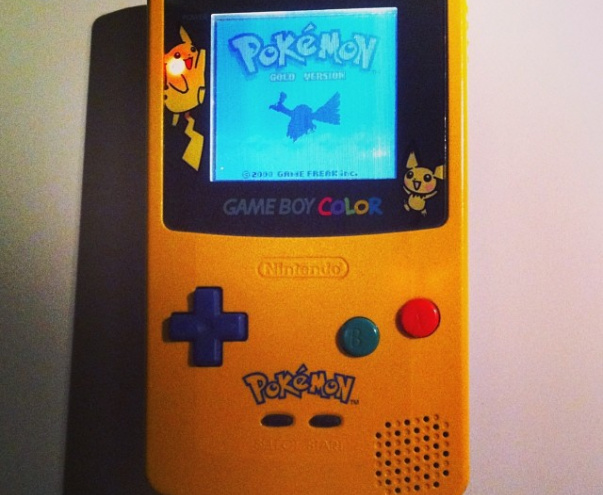 Everybody loves the backlit screens though. 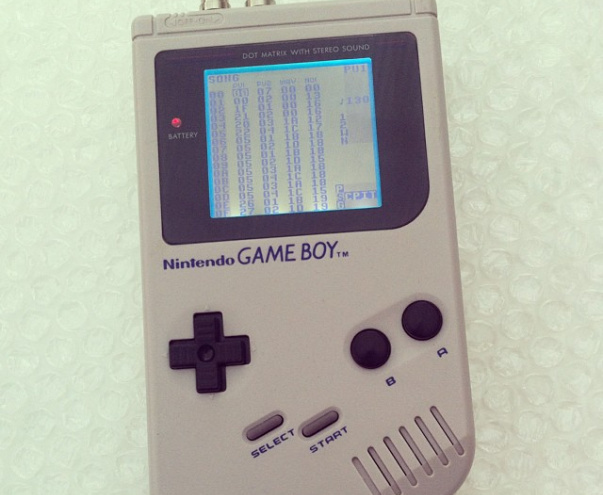 Can you tell us about your method for producing chiptune music from the Game Boy? 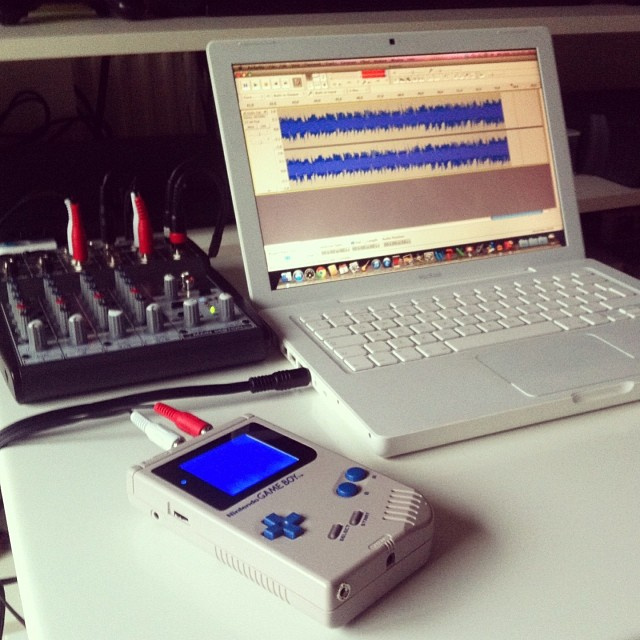 There are two main programs that tend to get used: Nanoloop and LSDJ (Littlesound DJ). 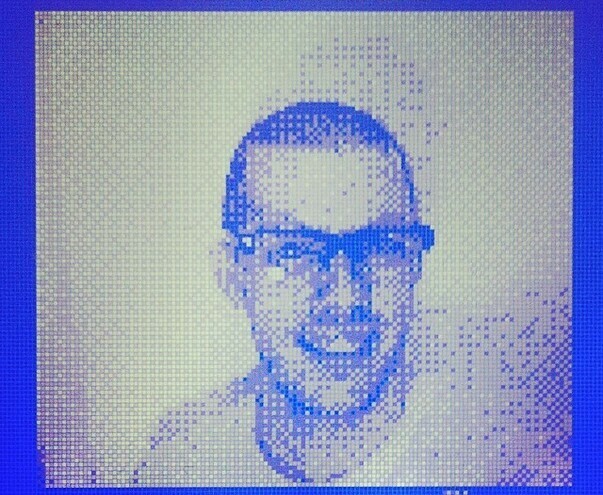 I spend most of my time on LSDJ; it’s a fascinating bit of software with so much to offer, although I must admit the learning curve is steep. The time invested really pays off though. You synthesise your own sounds and then use a tracker to set up phrases, loops and then build them into entire songs, it’s a lot of fun. And you can make some great music! 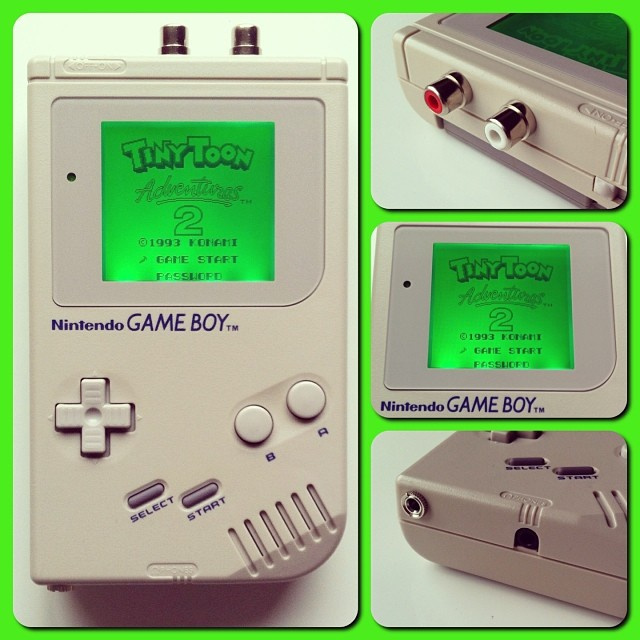 A lot of your mods involve adding phono sockets to the top of the Game Boy. 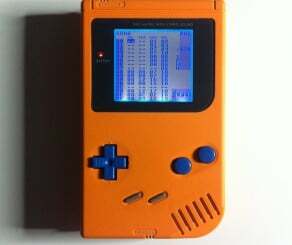 How difficult is this to achieve and what advantage does it offer when producing chiptunes? 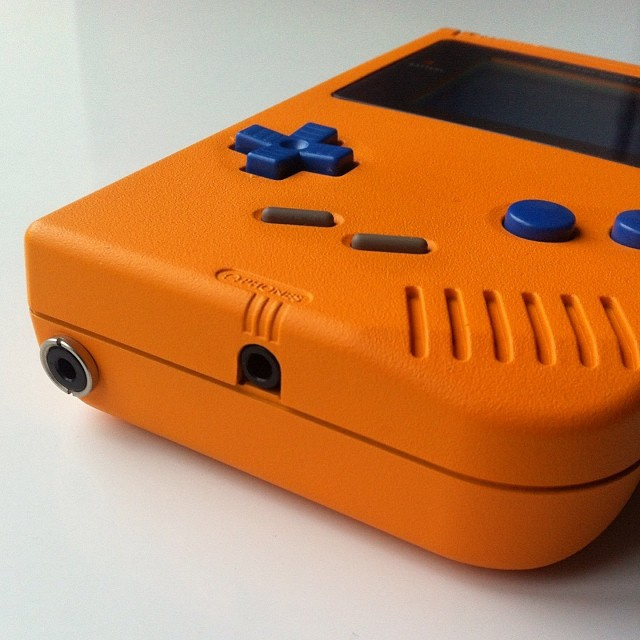 It’s not too hard once you get to know the solder points and the best ways of squeezing extra parts into the Game Boy; it’s a well-designed piece of portable hardware with very little spare room inside! Using thin wire is essential. 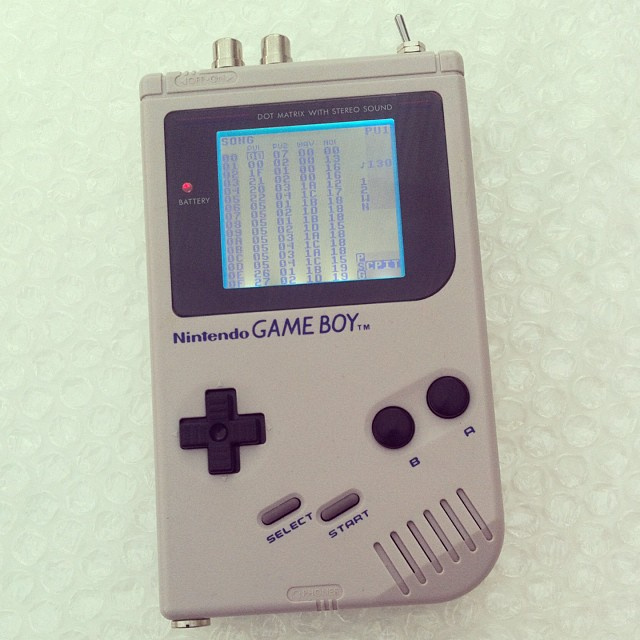 It doesn’t add to the experience of producing chiptunes but it makes a huge difference when connecting to an external source for playing back music or recording songs. Although you can record or play via the headphone socket, the “prosound” mod bypasses this and produces a cleaner, louder line out. I usually wire up the 3.5mm sockets so that the volume control has an effect on the sound output on the line out. For the phono sockets it is just a constant steady signal independent of the Game Boy’s volume control. As a school teacher, how do you bring your enthusiasm from this hobby into your Design & Technology classes? 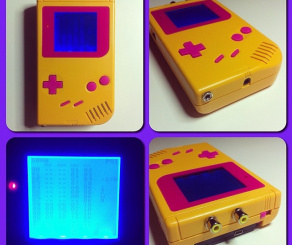 The kids I teach know I’m a real geek, but I’m always happy to talk gaming with them and share the joys of being able to use the skills we teach in school to mod, customise or make your own stuff. It’s a lot of fun working with young people and they’re very curious and accepting of my somewhat niche hobbies. Some of them have even checked out my music on Soundcloud and they haven’t been too harsh in their criticism! 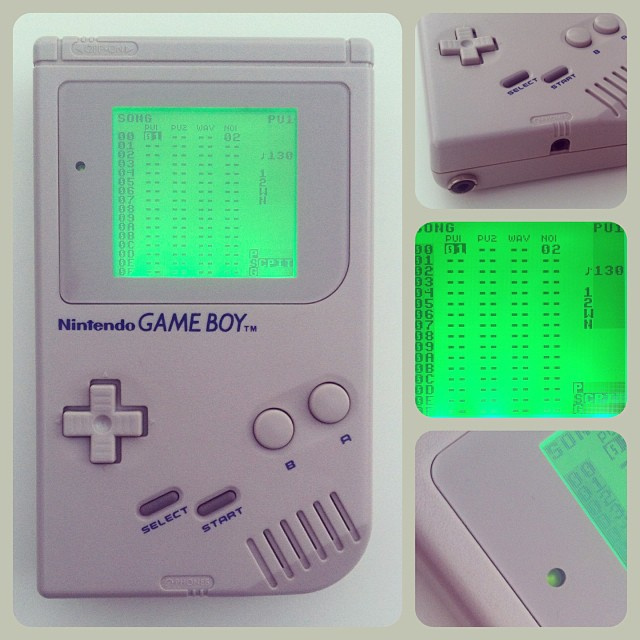 Other than Tetris, can you tell us some of your favourite Game Boy games? There are so many to list but it mainly goes back to the ones I played as a kid. All the Mario games and many other platformers like Duck Tales, puzzle games like Boxxle and Dr Mario, Skate or Die (because it’s skateboarding), Zelda, Metroid… I can lose hours to so many of them. Do you play many modern games and systems, from Nintendo or otherwise? Can you outline some of your current favourites? I’m lucky that I can play games from so many eras as they all have so much to offer. I have yet to move on to the “next gen” consoles but I still spend a lot of time on modern consoles. Recent favourites have been the Trials games on Xbox 360, Mario Galaxy games on Wii and The Last of Us on PS3, but my handheld roots are still there and most of my gaming is still done on handheld consoles, namely the 3DS XL with Mario Kart 7, Super Mario 3D Land, Pullblox and Zelda as well as the Playstation Vita with Guacamelee, Tearaway and TxK. On top of that there’s the wealth of games to be played on iPhone and iPad. I still get a kick out of being able to play great games wherever I happen to be and I’m lucky to have that in abundance. Are there any systems that you’d like to tackle that you haven’t done as yet? Do you also feel that, as consoles become more modern and complex, they’ll be harder to mod in future years? I’ve modded most of the vintage consoles I could get my hands on and I’ve dabbled with modern consoles doing RROD repairs etc but they just don’t quite have the same appeal as their cartridge-based predecessors. 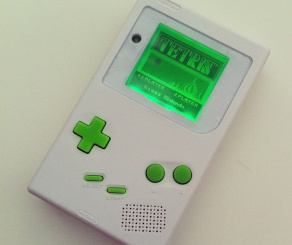 I always like taking stuff apart to find out how it works but for me the real joy is being able to enhance older technology with modern technological developments, which I think is the main reason why modded Game Boys have become so popular. Modern consoles are so advanced and can do so much so well that the need for mods is far less. It seems to be going more in the direction of software hacks such as jailbreaking but I don’t really find much appeal in that side of things. Having said that, there is a lot of popularity in modding controllers for modern consoles and that’s something I’d quite like to try out. To finish off, can you tell us how our readers can catch up with your latest mods? Instagram is where this all started and I’d love it if your readers could take the time to browse my photos and say hi. While you’re there check out Retrocollective Europe too. 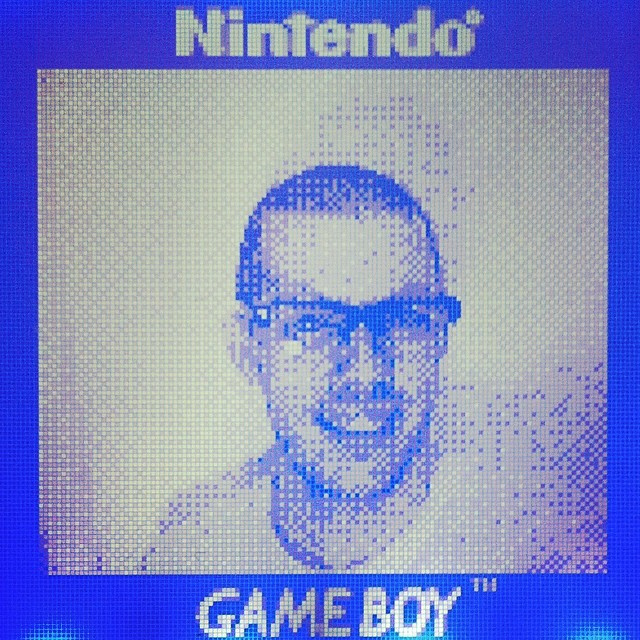 I am now selling internationally on eBay and will be adding more listings over the coming weeks so if anyone fancies getting hold of one of my Game Boys that would be the place to go. 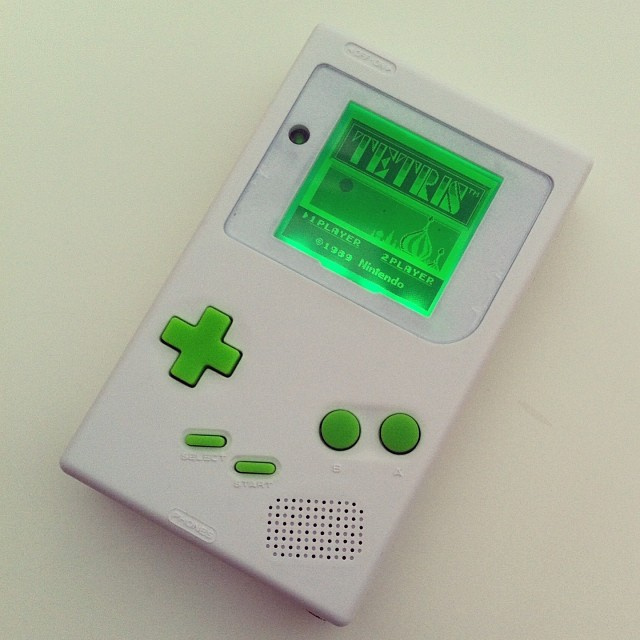 If anyone is curious about the sort of music you can make using a classic Gameboy then you might want to check out my Soundcloud too, although there are many more talented musicians than me out there making some incredible music. Here are my online haunts: @joeteach on Instagram, @retrocollectiveeurope on Instagram, @joeteach on Twitter, My eBay, My Etsy store, Soundcloud. Thanks for the opportunity; I hope it’s been productive! Thanks to Joe for taking the time to speak to us. wow!!! those are just awesome. 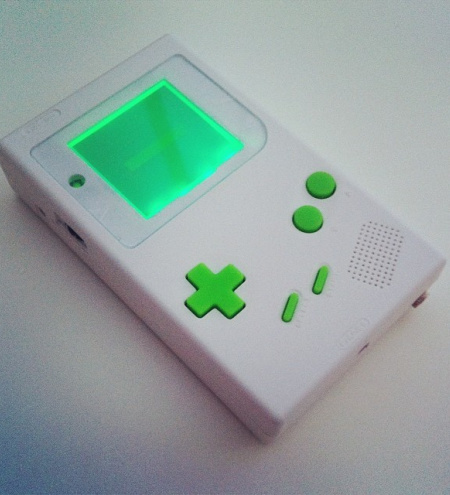 i mosly love the multicolor backlit oldschool gameboys. but everthing he made was so awesome. i'm going to check out his stuff on ebay and see what its going for. 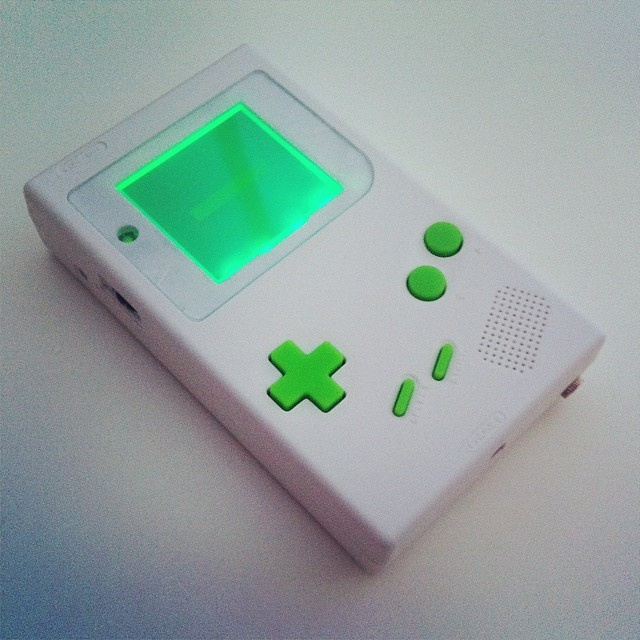 i would love to have one. 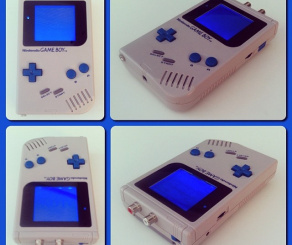 Cool stuff, I really want an old skool game boy......gonna have to look up his prices!!! 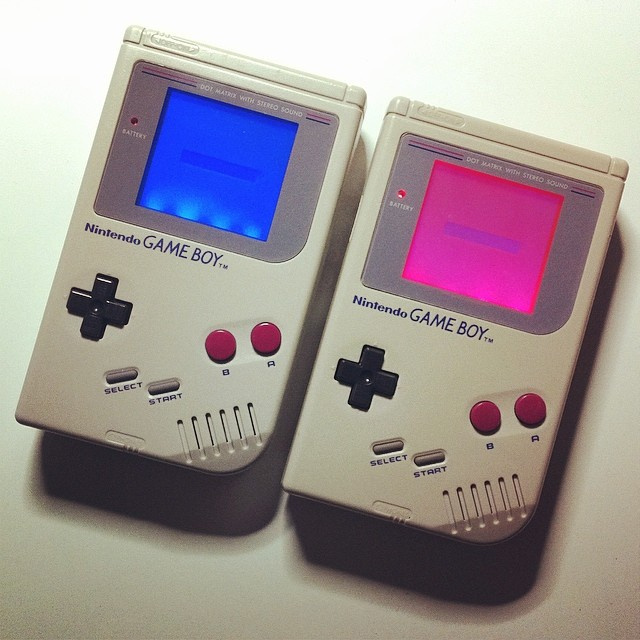 Some cool back-lit Game Boys there. Soon, the days of consoles and games coming in the form of physical hardware are likely to be gone and I'm really going to miss that aspect of gaming. @Kirk How does that work? Digital console? Played on what? You're brain? It's not coming as soon as you may think unless I'm not understanding what you mean. Maybe you mean individual consoles with exclusive content? Everyone will just use whatever device they have laying around to play their game? That could happen, but there will always be something unique that others don't have and will play certain kinds of games better. Yeah, games will be going digital for the most part and you'll just play them directly on your TVs, smartphones, set top boxes, PC like boxes or whatever. Soon enough there really won't be many or possibly any companies making new dedicated video game consoles or handhelds any more and you certainly won't be playing physical discs or cartridges in the not so distant future. 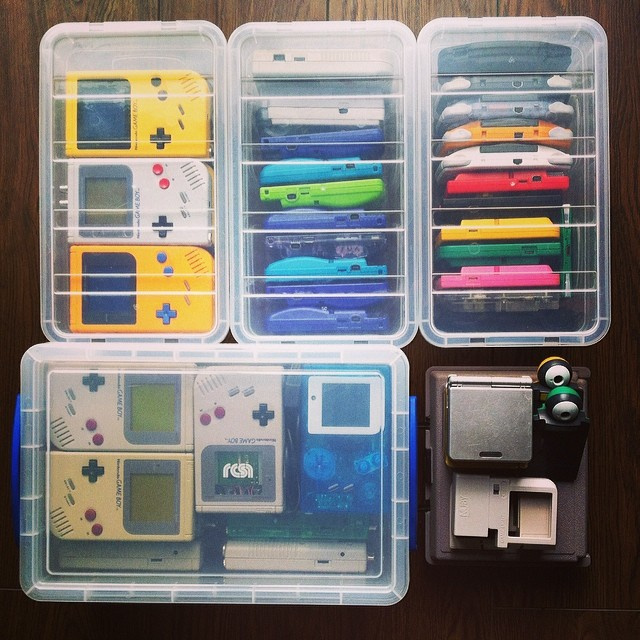 Soon, you won't really be able to be a "collector" of great systems and their games, that come in all different kinds of cool colors and configurations and stuff, like the guy obviously is with the Game Boy above. It's sort of sad because I really enjoy seeing all these classic console collections but in the near future, this whole digital future, I feel that's basically going to be nearly impossible for the most part with any new games and "consoles". I think it will take a long time for that dystopian scenario. Nintendo, for instance will definitely make at least one more go at unique hardware 4 years or so from now. Set top boxes like the Roku, Apple TV, and Amazon Fire are JUST getting started in the war and they'll be trying to differentiate. VR helmets are JUST getting started as well. I'm guessing motion controls are going to have a "next-generation" before they die or take over. In ten years or so we can start worrying. Maybe then there will be graphics and gaming hardware and software development kits that are so standard that it will be all in the software where any innovation can happen. But then you have to think: how likely is it that someone will, right about then, come up with a breakthrough that requires rethinking and they won't want to just share with everybody. Pretty likely. Well, I'm being a little dramatic but it is coming at some point and it's a shame because seeing all these cool systems in all their modded configurations and stuff is just cool. I mean probably within a generation we'll no longer be able to collect any new physical games with cool boxes and printed instruction manuals any more. Also, all these digital set-top style entertainment boxes aren't quite the same thing because no one's really gonna mod or collect them as such. They're just generic boxes, usually in black or silver, like a cable box. Not the kind of stuff we'd be looking back at in 20 years time, as part of some guys awesome "retro" collection, with great nostalgia. Now don't get me wrong, I'm actually totally in support of an all digital future for quite a few good reasons, saving on material resources and physical space for a couple, but it's still a sad thing to see the physical medium slowly coming to an end. Well, the game storage medium is certainly going to transition fast. I don't personally find it that sad. Besides nostalgia, It's just clutter. There are far better ways to peruse instruction manuals than rifling through paper now. At least Nintendo is FINALLY including the original instruction manuals in their virtual console games (at least Metroid Fusion does). Personally I'm tired of shifting old boxes around, I'd rather Nintendo improve the digital collection situation so I can stop buying physical. Now, what Nintendo needs to do with its digital strategy is play up the collectors aspect and attach a nice display shelf to your account, so you can look at it all at once and recreate old box art and make new dynamic stuff for digital downloads. Maybe even let you loan out a game for a short time to a friend. New games should have digital interactive instruction manuals on the GamePad, too. Yeah, well I agree with you actually. I think we need to move beyond wasteful paper manuals and stuff but I do think companies need to do the transition to digital properly so as to at least preserve some of the things that made the physical media so cool in the first place, to the point that many people formed these vast collections of old hardware and games etc. Nintendo is certainly going to have to do a much better job going forward if it wants to keep that kind of dedicated fan and collector mentality that has made it such an important part and mainstay of the gaming medium. Well, whatever happens, I think gaming needs to preserve that tangible "thing" where you can revisit your past experiences with video games and enjoy them just as much as you did the first time you played them. Beyond just being able to play them on some random "emulators" that never really capture the original experience fully in quite the same way. Maybe new "controllers" will become the new things for future generations to look back on as part of someones amazing collection. I imagine physical controllers will at least still be used for quite some time. As you mentioned, there will also still be a few generations of VR headsets at least for the collectors to amass too that will allow people to go back and experience these old games as if they were back there when they were first around. In fact, maybe VR is the secret because rather than needing physical consoles any more you can just recreate those various pieces of hardware directly inside a VR experience and enjoy them that way, with hopefully a very close representation of what it might have been like to originally play on those consoles back the in day. @Kirk I would rather have a printed manual for an RPG. (And no tutorials start presuming you know everything in the manual). Digital Manuals are equally bad if they have to be done from the device. While the whole tangible effect of gaming is definately fading out, I feel there will always be a market for a genuine, in-dept, gaming experience. There's only so much satisfaction I can get from a pick up and play tablet/smartphone game. It lacks the escape only a true gaming experience can offer. While games are definately going digital, and physical game cards and disks will be a thing of the past eventually, there's still that feel of the controller and the shared experience among among multiplayer games that is physical and genuine. I don't think that aspect will ever change. Well I'm certain they can make the digital manual experience as enjoyable as the printed but as of yet I've not really seen any great examples. Yeah, I think the controller is one of the physical elements of video games that will at least stick around for a long time to come. I think we are all in general agreement. It's funny but all this conversation about the tangible is making me think of deeper board and card games that are loads of fun. Carcassonne, Dominion, Agricola, Battlestar Galactica, Lord of the Rings (LCG), Puerto Rico, Race for the Galaxy. Not sure how well it relates but my brain went to those games and although there are digital versions of them, none have quite captured the huddle-around-a-table-together-with-friends aspect. Plus, the tangible part is even more integral. @unrandomsam A tablet with a high dpi and a good pdf viewer is a great start towards manual reading. Just as clear, navigation by search, and you can carry ALL of your manuals and instructions and books everywhere. I was thinking that Nintendo and other game companies should have much more advanced interactive manuals with short videos, animations, audio to make a fun and visceral sorta thing to go with the game but is fun to peruse even when you're away from it.